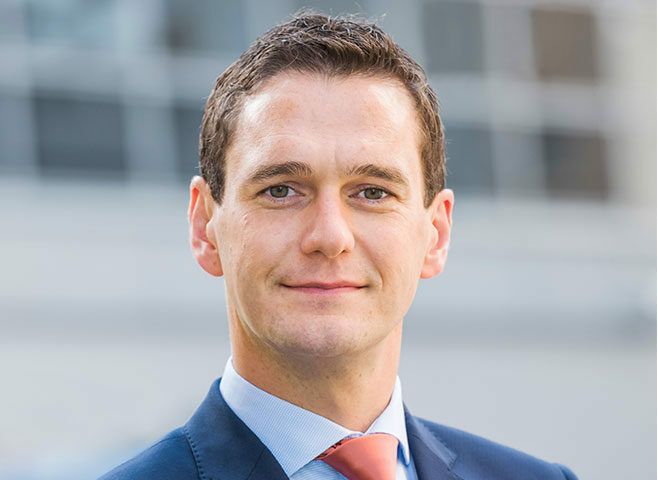 Ronan Doherty CEO of ElectroRoute talks to Owen McQuade about growing an energy trading company based on the commercial mechanics of a decarbonised energy system and what the future might hold for the energy sector. 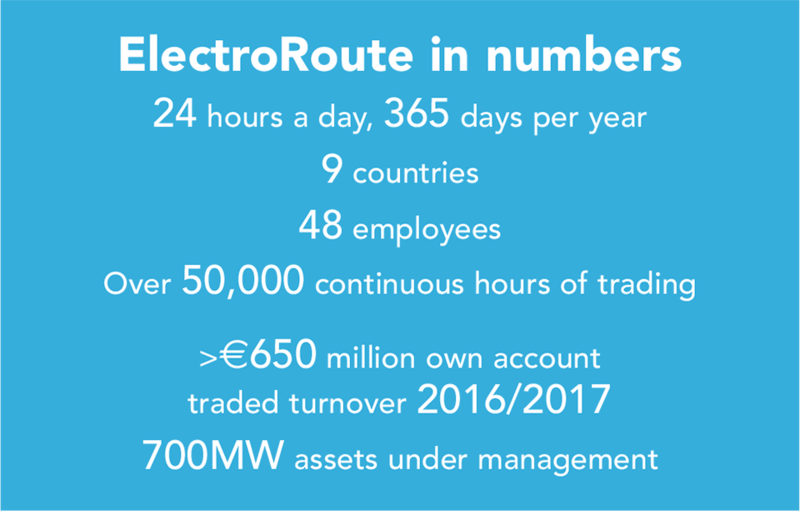 From ElectroRoute’s head office in the creative quarter of Dublin the company trades energy across nine European countries 24/7. 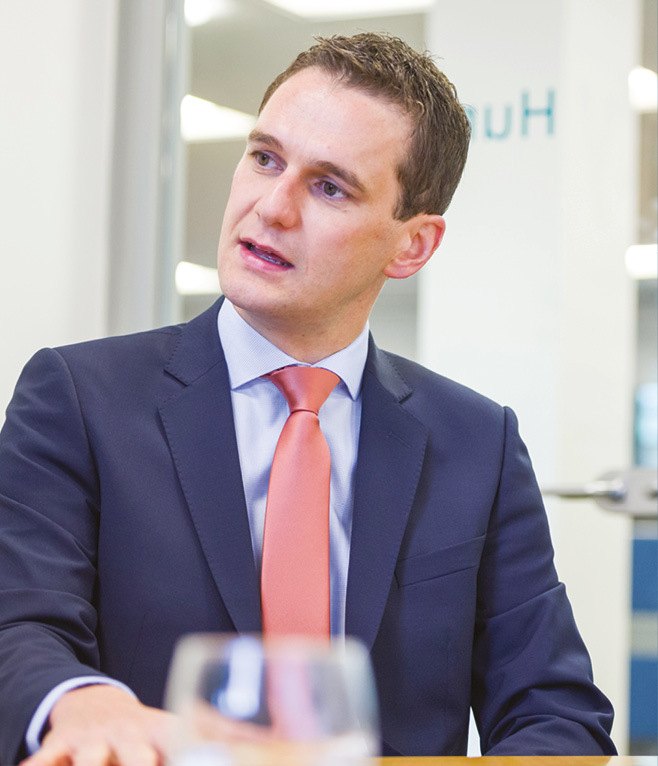 It also provides managed trading services for energy assets owners, giving them ready access to pan-European markets and currently has over 700 MW of assets under management. Ronan Doherty and the other founders of the company, Alex Bryson, Alan Mullane, Eamonn O’Donoghue and Bernie Fitzpatrick, have a shared history in Airtricity. “The Airtricity experience was formative for us and we got to work with great entrepreneurs who had grown a very successful company. Most of us worked in the trading division and we saw what an important part trading would play in the energy future,” explains Doherty. The energy markets are becoming more and more complicated, with ever increasing amounts of intermittent wind and solar that are changing the market. It will be important to get the market right in the transition to a low carbon energy system,” he adds. At that time the focus on markets was foresighted, as most of the industry focus was on developing physical assets. Doherty and his colleagues gained experience of energy markets in Ireland, the UK and Texas, where he worked in Austin for a time. In 2011, after a “series of meetings in burger joints and pubs in Dublin” the group decided to set up an energy trading company. From the outset, the company had two parts: an own account trading division and a client services division where it makes trading services available to clients. The fledgling company had some early stage investors on board such as industry pioneers Paul Dowling and Bran Keogh. It closed two rounds of funding over the first couple of years. Early activity was trading over interconnectors, specialising in understanding which direction power flows should go from one country to another. Initially between Ireland and Britain, and then Britain and France and the Netherlands. Now, the company trades over interconnectors right across continental Europe between the nine countries in which it operates. “From the initial interconnector trading on our own account this has developed into a much wider trading portfolio including derivatives, green certificates and prompt power trading. Today we trade with investment banks and counterparties through the main European exchanges right across the power, gas and certificates markets,” explains Doherty. also trades for GE on some of its wind farms and a gas-fired plant they control in Galway, Tynagh Energy. The company has just added technology giant Microsoft to its client list. In an innovative agreement, ElectroRoute will work with GE and Microsoft as part of Microsoft’s commitment to buy 100 per cent of the energy generated at GE’s new wind farm in County Kerry, placing ElectroRoute at the forefront of an emerging trend of corporate power purchase agreements (PPAs) particularly in the expanding data centre sector in Ireland. Microsoft will be able to source 37 MW of new wind energy for its Irish data centre operations. Doherty says that the transition to low carbon energy sources drives him: “Personally, from doing my PhD, to working in Airtricity and Aquamarine Power, I’ve been highly motivated to be involved in the changing energy system and to understand what that means for society. Doherty displays a graph from a relatively recent DCCAE consultation paper, showing  levelised  costs for different  renewable energy technologies. Although only several months old, it is now out of date as the costs for many of the technologies have plummeted. He is quick to stress that this is not criticism of DCCAE but more a reflection of the results of recent auctions across Europe for renewable technologies. He believes that Irish energy policy is “running in the right direction”. He acknowledges the use of competitive auctions for future renewable capacity outlined in the recent consultation paper and he believes “that a competitive approach will be better value for the energy consumer in Ireland”. In 2015, the company was trading profitably and continuing to grow: “There was not a necessity to do a corporate deal but at a board discussion we asked ourselves if we could get bigger faster through a partnership with some else.” ElectroRoute then engaged KPMG to run a process to help it find the right strategic partner. At a conference in Madrid, Doherty and his colleagues met with Mitsubishi Corporation and were struck by how similar their view was on how the energy transition was unfolding. Discussions progressed and in 2016 Mitsubishi Corporation took a 60 per cent equity stake in ElectroRoute. With the backing of Japan’s largest trading and investment company, the deal has strengthened ElectroRoute’s  financial position, given its services business the solidity and assurance of such a large partner which has been good for clients and offered an international reach outside Europe. 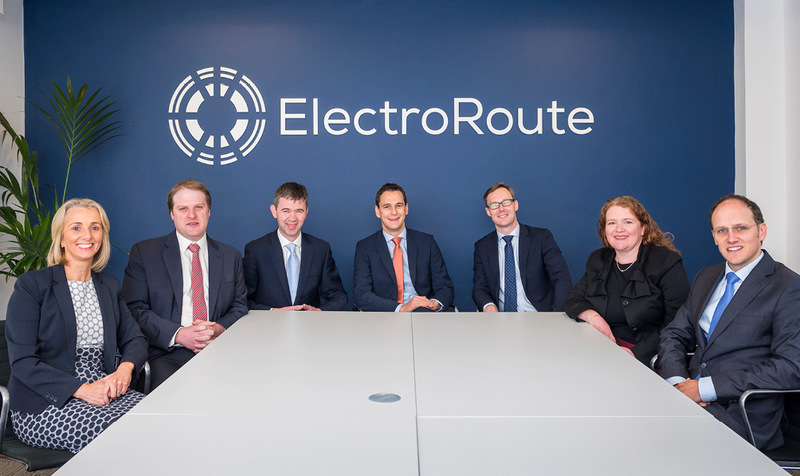 As for the road ahead for ElectroRoute itself, Doherty says this is reflected in the company’s mission statement: ‘Solving the commercial mechanics of a decarbonised energy system’. He paints a picture of what the future energy system will look like in the future: “decarbonised, decentralised and digital.” But it is unclear what business models will drive that new future and what will be the commercial flows in the new energy system. “In ElectroRoute we are situated right at the heart of the energy system in the wholesale markets. Here we are well situated to work out the commercial mechanics of the new decarbonised energy system. “There will be three elements of the integrated energy company of the future: access to renewable and flexible sources of energy; having a good command of trading and data handling; and to engage with and have the trust of energy customers. “On the last point, the energy industry hasn’t been that great at exciting or engaging with its customers,” he observes. Doherty points at his mobile phone and contrasts how the telecoms sector has engaged much more successfully with its customers. “In the future, success will be about each of these three elements. ElectroRoute is well positioned in the energy transition and with partner Mitsubishi Corporation we can take the long view of this journey. It will give us a good shot at solving the commercial mechanics of the energy transition,” he concludes. Ronan lives in Nairn on the Donegal coast and divides his time between Donegal and the company’s headquarters in Dublin. He is married to Malaysian born Farah Mydin who is a GP in Donegal  and they have four-year-old twins, Aliya and Aaron. His interests include boating and fishing in Donegal: “once you leave land all your worries subside.” He also enjoys cycling and the other outdoor pursuits Donegal affords.